From professional artists to hobbyists and beginners like you and me, Portable Watercolor Kits come with everything needed to create beautiful paintings on the go. You can draw anything quickly comes in your mind with these painting kits. This portable set is a perfect gift for those who love paintings wherever they are going. 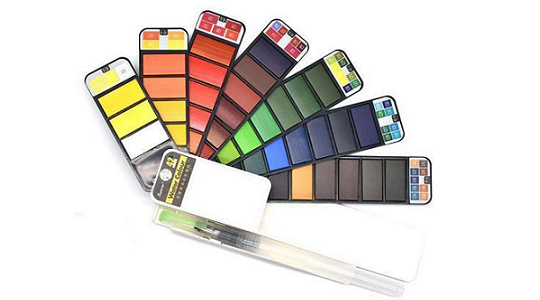 Each set comes with a free Smart Refillable Watercolor Brush & Painter's Sponge.